To help you create a better customer experience, we’ve pulled together step-by-step instructions for getting your Live Chat tool up and running in no time. Let’s quickly cover the main things you need to do to get started on Provide Support. The first thing you need to do is creating an account through the Sign Up button on any page of our website. You can do this in less than a minute by choosing an account name and password, and entering your email address. 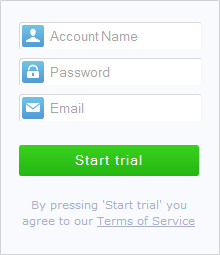 You will have 10-day free fully functional trial to test all available system functionality. As soon as you sign up, you are taken into your Control Panel, How to Start page . 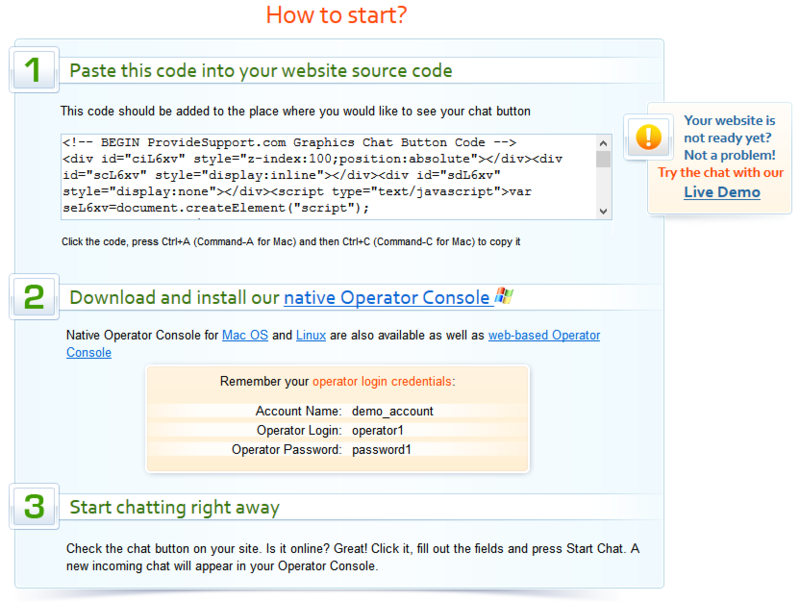 All you have to do is to copy a piece of code from the page and stick it into the HTML code of your website. Alternatively, you may log in via our web-based Operator Console, which is a simplified console version and does not require installation. There you can modify or remove existing profiles, and add more operators if needed. Seems easy as a pie, doesn’t it? So it is. 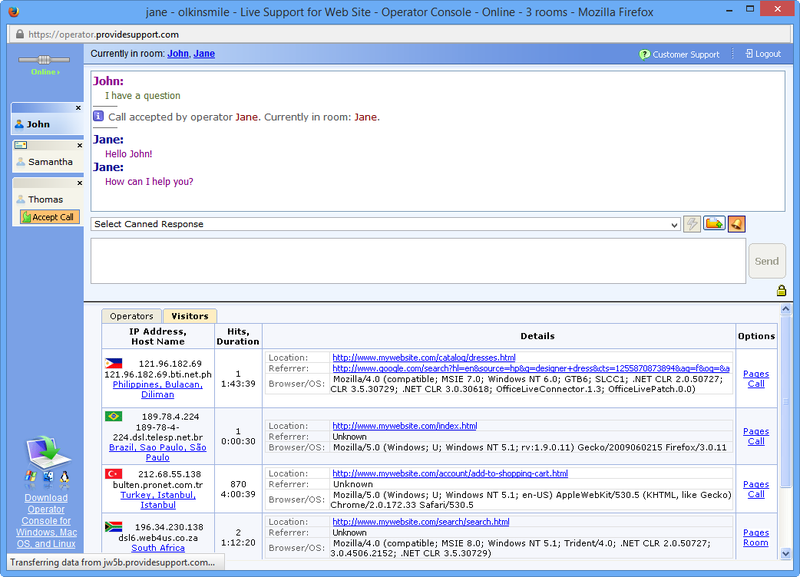 Your support operations are about to get a lot easier with the new smart tool on your website. Are you ready? Hope you’ll like the results. In case you cannot find answers to your questions in this blog post, please feel free to contact our team using the Live Chat button on the right. We are available 24/7 and would be happy to help you anytime. This entry was posted in Articles, Instructions, Tutorials and tagged live chat, live chat integration, live chat service, live chat sign up. Bookmark the permalink. We are a multi-location company, but use one website companywide and we are wondering if there is a way to have the customer pick which location they would want to chat with. 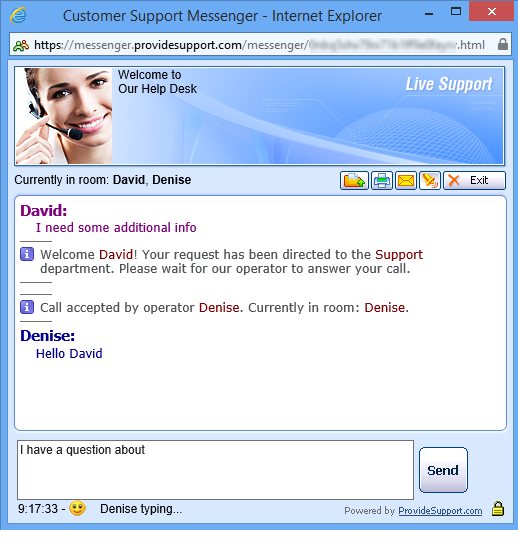 Many of our current customer service calls are specific to the location the user is calling we’d like the customer to have the same experience with live chat.